Neurophysiology Research is an interdisciplinary, peer-reviewed, open access, scientific journal that aims to disseminate the latest research findings in the field of neurophysiology and allied sciences. The journal also wishes to publish manuscripts that showcase the possible clinical implications of these developments in the diagnosis and treatment of neurological and psychiatric disorders. 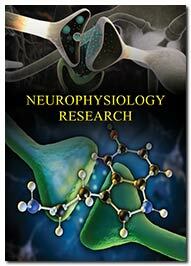 The scope of the Neurophysiology Research journal encompasses all areas of neurology and physiology viz. neurobiology, psychology, neuro-anatomy, cognitive science, clinical and behavioral neurophysiology, electrophysiology, biophysics and mathematical biology. The journal most specifically emphasizes the publication of manuscripts that may serve to further the research and development of novel therapies for treatment and management of cognitive disorders, disorders of the spinal cord, peripheral nerves, nerve cell dynamics, electrocorticography, neuroinformatics, nerve tissue engineering, artificial nerve cell, artificial neural network, huntington disease, alzheimer's disease, microcephaly, brain processing, spinal cord injuries, microneurography, cerebral blood flow, nonepliptic events, tetraplegia, autistic traits, neuronal genomics, proteomics of neurons, protein engineering of dendrites, EEG study, axon growth and regeneration, optogenetics, brain tumors, neuropharmacology, neural coding oscillations, digital neuro transmitters, optical distortion, neurotoxicology, cellular neuroscience, obsessive compulsive disorder, neuroimmunopathogenetic models, dystonia syndrome, bipolar disorder, mental illness and effects of sedative drugs. The journal invites researchers and scientists across the world to submit their original manuscripts pertaining to multifarious key areas related to the function and dysfunction of the nervous system. All submitted manuscripts will undergo a rigorous process of peer-review. Acceptance by at least two reviewers and editor/editor-in-chief is mandatory for the publication of all citable manuscripts.